Approximate measurements: 10” (25cm) tall x 9” (22cm) wide x 5” (12cm) deep; Strap is 42” long. 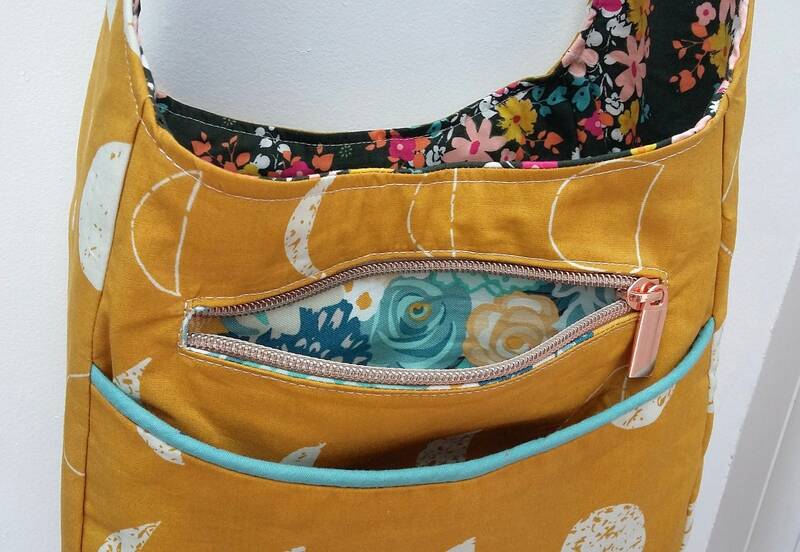 A beautiful bag with a secret…she's two bags in one! 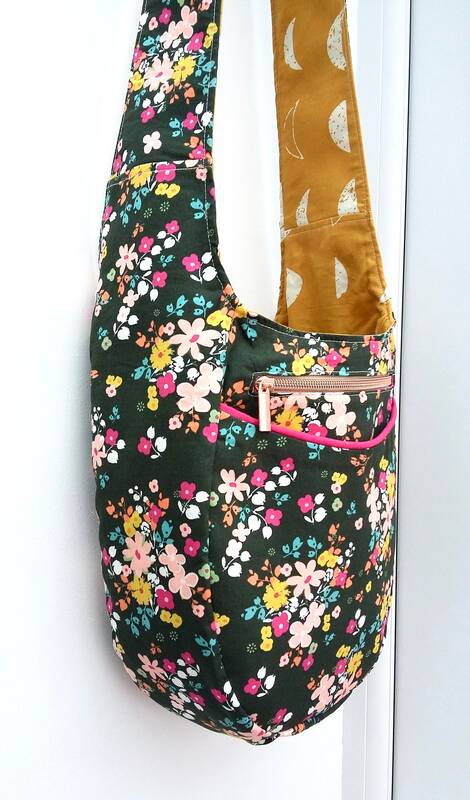 This versatile, casual style hobo bag is reversible to suit your mood and baffle your friends with your bag fetish! 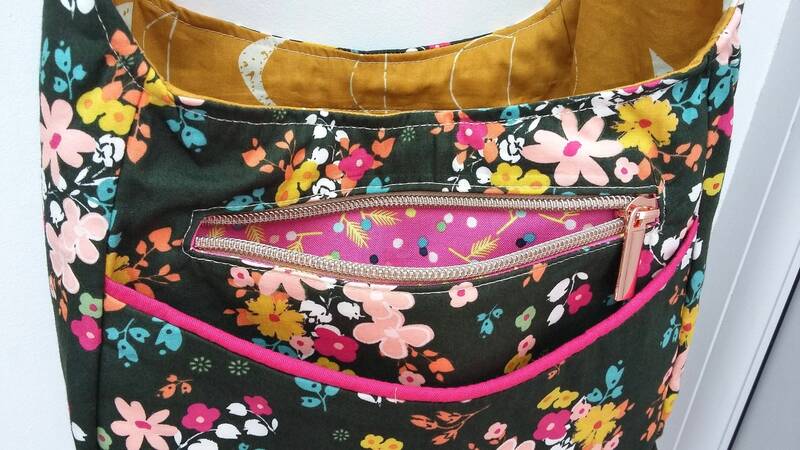 One side is in "Blooming Soul - Laurel" a vintage style floral print from Pat Bravo's Boheme Indie collection. The reverse is in a mustard "Lunation Bright" from the Nightfall collection by Maureen Cracknell. Floral + Abstract, a gorgeous combination! 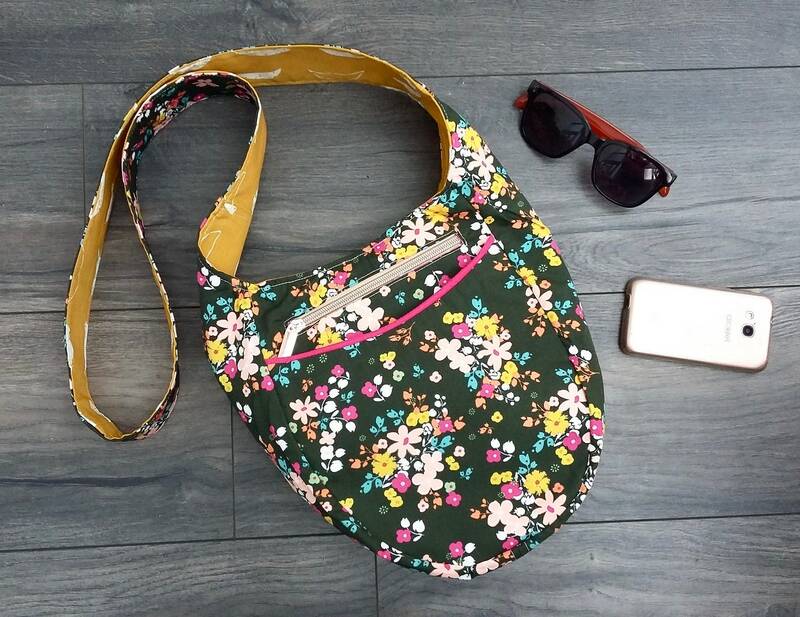 The bag has two layers of high quality woven cotton interfacing for added strength and structure, she can be worn cross body style or on the shoulder and the strap can be shortened simply by tying a loose knot. 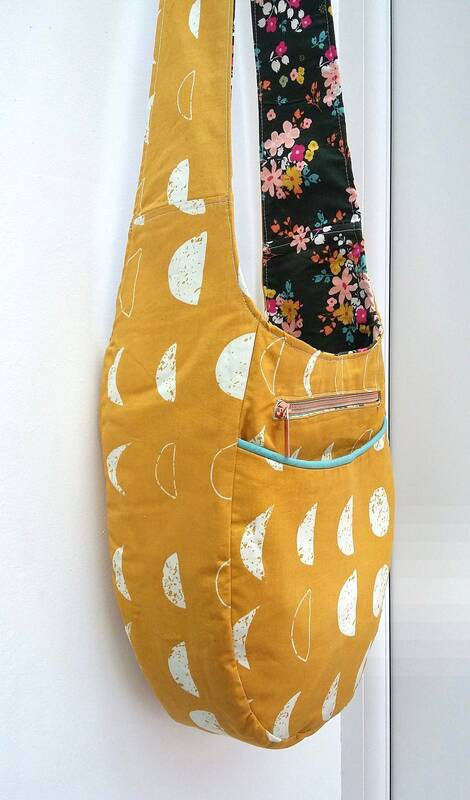 A great bag for holidays and for everyday use! Deceptively spacious, you'll be spoilt for choice with how to fill her. She has two zipped pockets with chunky rose gold zip pulls for storing valuables like keys, phone and wallet. 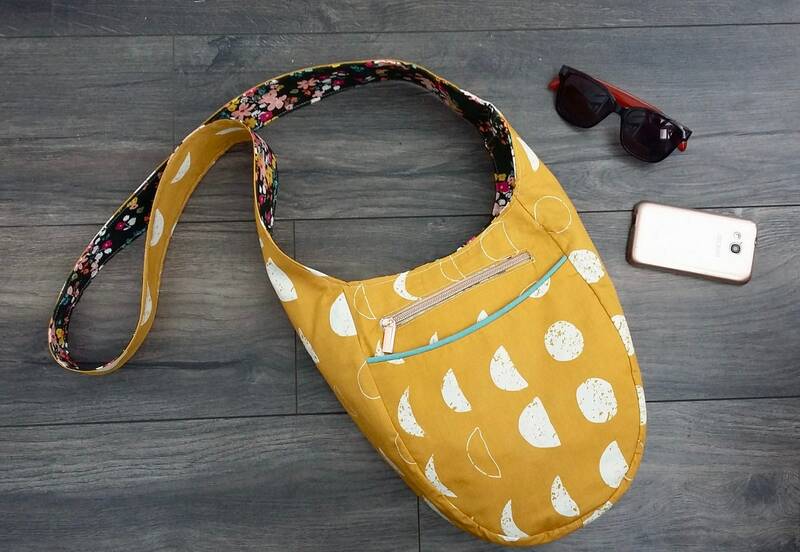 She has two large full width slip pockets with piped edging, perfect for storing items that you'd need quickly like sunglasses, tissues, umbrella, suncream! Ready to post in 1-2 business days by tracked and signed 2nd class UK delivery or by tracked international shipping. Any shipping overages will be refunded.